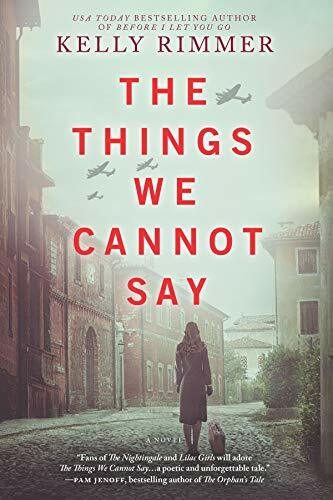 The Things We Cannot Say incorporates two novels in one with an impactful and gripping tale of two generations. The prologue commences in the Soviet Union during 1942 with Tomasz Slaski marrying Alina Dziak. Alina, who was raised in a tiny town in Poland, changes her name to Hanna Wis'niewski to protect her identity. Chapter One is at the present time, introducing Alice, Alina's granddaughter at the market with her young son, seven-year-old Eddie who is autistic. Alice becomes distressed when Eddie suffers a meltdown from being overstimulated in the store. She carries the full responsibility for his care as well as for her overworked husband Wade and precocious older daughter Callie. Then her beloved grandmother Babcia is hospitalized after a stroke from which it looks like she will not recover. Like Eddie, Babcia now cannot verbalize what she wants to say, though using Eddie's iPad and a program called "Augmentative and Alternative App" (AAC) she is able to "speak." Eddie and Babcia share a deep kinship, so when they are together they can communicate with each other and those present. Babcia shows Alice a photo of a light-haired man with these words written on the back: "Photograph by Henry Adamcwiz, Trzebinia Hill, 1 July 1941." Alice believes Babcia misses her husband who passed the year before, but the man in the picture is not Pa, making Alice wonder about his identity. Babcia types on the iPad: Tomasz. Find Tomasz. Please find Tomasz. Alice tells her Pa is dead and thinks her grandmother is confused, but Babcia again types: No Pa. Find Tomasz, then Trzebinia. After this, she begs Alice to go to Poland. Having endured devastation growing up there, Babcia has secrets, yet now approaching death she seems to need closure that only Alice can offer by traveling there. "By afternoon, as we planted on the other side of the vegetable field, the black-gray line had risen so high that it seemed to stretch all the way across the sky. "'Stop looking,' Mama snapped at me suddenly. 'Looking at it won't make it go away.' . . .
"'It's to heat the water,' she told me. 'There are many prisoners in the camp—mostly prisoners of war. They are just warming water for the showers and the laundry.'" Alina has loved Tomasz since the age of nine, and now at 15, even the disastrous years under the Nazi regime can no longer suppress their affection. Tomasz goes to Warsaw to become a doctor. An honorable man, through the atrocities he witnesses, he aids Jewish refugees he befriends by hiding them from the soldiers. Because of this, he is in danger, so his meetings with Alina need to be clandestine to keep her and her family out of peril. When Alina's parents are captured and taken to the camps, she fully realizes the evil of that is happening, and Tomasz, knowing the need to get out of the country, prepares their escape. Things do not go as planned. Alice does not want to go to Europe. Wade acts indifferent to Eddie, and she never left him before always having been in charge of everything domestic. However, she loves Babcia too much to refuse her wishes, and she admits she is captivated by the mystery of her grandmother's past. Putting her concerns aside and trusting Wade and Callie to handle things at home, Alice flies to Poland where she meets a guide who also is a historian. Because records were often destroyed from that time, they have difficulty putting pieces together, but Alice is resolute about finding information so Babcia can die in peace. Not only is this novel about undying love, but it also offers up tragic details about World War II. Though fiction, these horrors did occur and should never be disregarded. An intense story of survival, hardship, and heartbreak, The Things We Cannot Say is sure to evoke emotion in even the most cynical reader.